Sometimes my life gets moving so fast, I'm onto the next project like a machine, forgetting to slow down, enjoy, and post about all my accomplishments. My new Signature fabric collection has been such a joy and with each project comes little surprises and great photo ops that I've taken lots of beautiful photos. I thought I'd spend more time with each of these makes and post some additional stories about what I sewed in June for the Art Gallery Fabrics Signature Look Book. I hope you'll enjoy these between the projects posts. 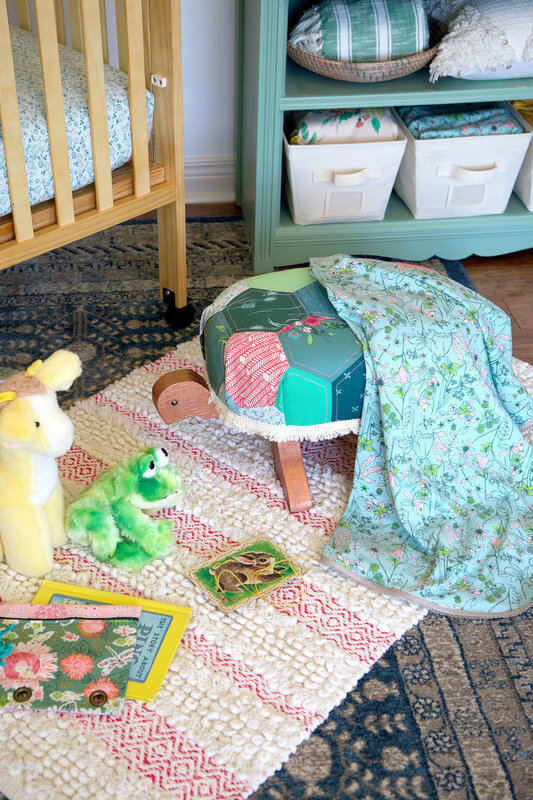 It was so much fun to put together a baby room of Signature fabric projects! Signature is my newest fabric collection for Art Gallery Fabrics and came out this May. Ask your local shop for this line or shop the many online stores that carry it. See my Fabrics page for online stock lists. Last week in Part 1, I showed you behind the Look Book projects in a bit more depth and links to the tutorials for the pretty projects. I'll wrap up this week with Part 2 plus a fun stuffed turtle make I stitched up last week as a gift for my granddaughter. Possibly to two easiest projects stitched for my Signature Baby Room were the crib sheet and the knit blanket. Find a tutorial for my Ruching Rose pillow HERE. I wish I'd known how easy it was to make crib sheets when my kids were little! Dana Willard, friend and also an Art Gallery Fabrics designer sister has a fun You Tube video for how to make a fitted crib sheet. AGF fabric is so soft and the perfect designer prints to customize the look for baby's room. The knit blanket not only is cuddly soft with AGF knits but is another easy make. You wouldn't even have to finish the edges if you didn't want too because knit doesn't fray but to dress it up a bit I added some pre-made bias tape with a crochet edge for a sweet little touch. A nice tutorial for making a knit blanket can be found at Kitchen Table Quilting. Earlier, in June, I blogged about my free Star Light baby quilt pattern. The inspiration for this quilt came when I was making the Cactus block for the Community Sampler. 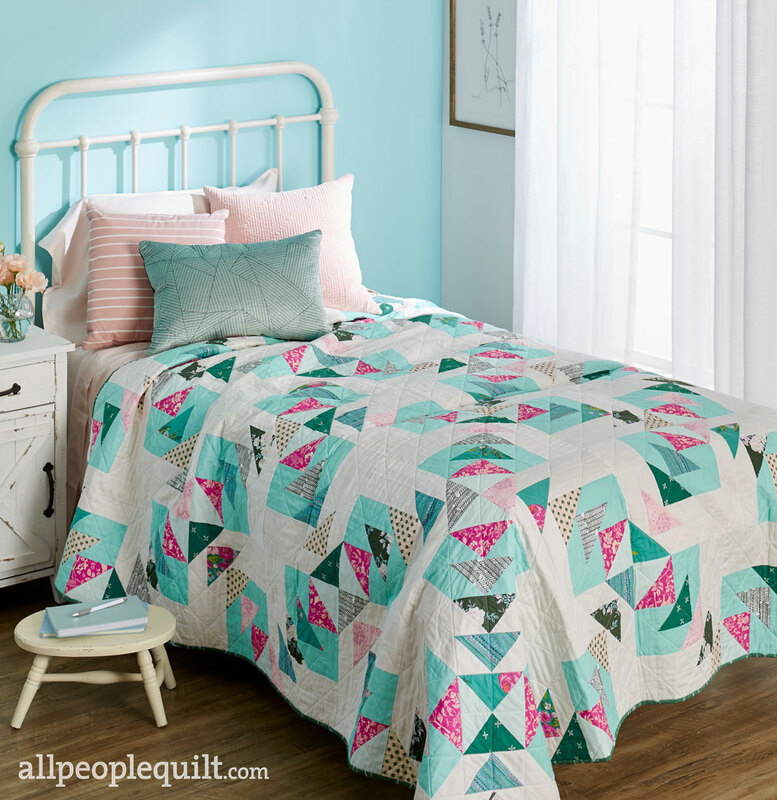 This shows how you can take a block you love and run with it to make a completely new quilt. Find the free pattern HERE. Even though my Signature Baby Room was intended as a gender neutral room I still couldn't help seeing it through my granddaughter's eyes. Because she loves butterflies and this fabric collection is about nature and includes butterflies in some of the prints I made several fabric butterflies and used them in various decor projects. Read more about how I created these HERE and learn how to make them. There are so many Signature makes I'm obsessed about but maybe the one that brings on the biggest smile is the turtle footstool I wrote about in my Part 1 post. Since this guy is staying at my house for the grandchildren to visit I thought I'd make my granddaughter a turtle of her own. I found the cutest free softie pattern on the Make it and Love it blog and of course had to make a version in Signature fabrics! To add just a little extra to my turtle I stitched some Dritz Make Your Own Chenille to the shell before adding the feet and added a fabric heart outlined with chenille to it's tummy before assembling the body. Turtle, as he's called, now has an honorary spot in her bed and she love's her new friend! Because every turtle needs a home, I painted an old basket up to give it a fresh new look (that coordinates, of course with my fabrics) and made the turtle his own blanket. I had as much fun making this as she's having playing with him! And, way too much fun photographing this turtle. 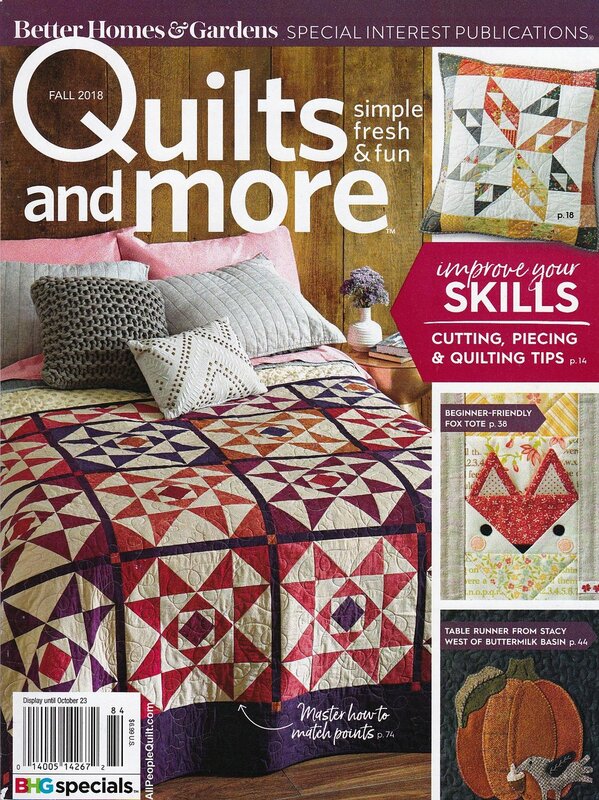 Don't forget to check out the Art Gallery Fabrics Look Books that come out with every new fabric line and all the oodles of free quilting and sewing patterns like the Sunflower quilt I designed for this collection and the AGF Studio Butterfly pillow pattern.